​ specifying the selected menu and the day. Prices : $10 per lunch, delivered next to the FASNY Campus. 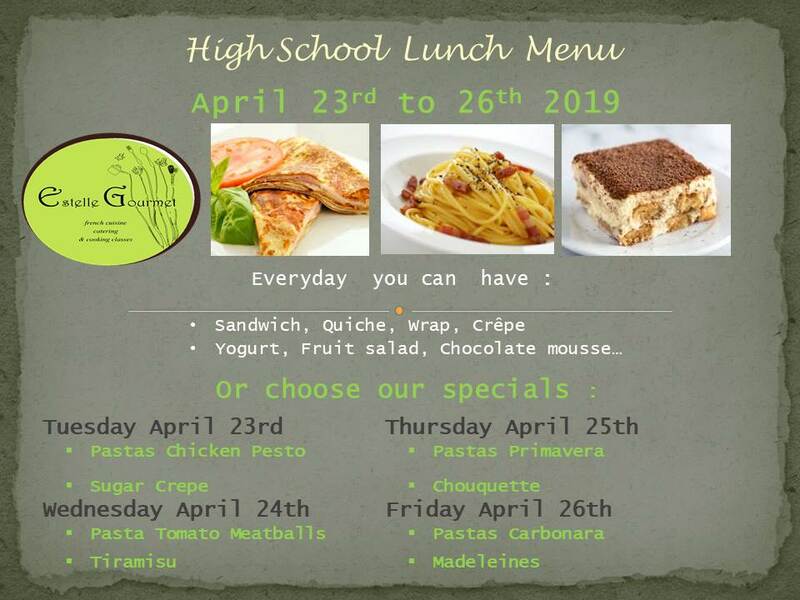 Each week, from Tuesday to Friday, make your kids happy with a lunch delivered next to the FASNY High School Campus. All lunches will be daily cooked from nut free and organic products for a nutritious and easy menu for your teens. Lunches are wrapped and ready to eat. Let us know if you have any restrictions (allergies…).